If there's anybody that truly embodies the defining characteristics of Warp Records in challenging genres and expanding artistic diversity, Stephen Wilkinson's offerings as Bibio makes him, without question, your main man. Set to release air-punching festival thumper/earphone bumper 'Take Off Your Shirt' from his dreamy fifth album 'Mind Bokeh' unleashed earlier this year, Wilkinson proves to be a supremely talented producer who considers no music style sacred (or if anything, farcical). Here, he justifies his (comparatively) poppier single, in addition to his increased vocal presence on the album overall - especially as his output thus far has almost exclusively been hypnagogic, floating loops and snippets. Dazed Digital: Your latest album is perhaps the most 'polished' to date, with 'Take Off Your Shirt' being pop rock by any other name. Was there a conscious effort by you to cater your sound to a wider audience on this record or did it just happen that way? Bibio: It just happened that way. 'Take Off Your Shirt' started life just like many other tracks - me jamming guitar in my room. The fact that it ended up as a rock track is just a symptom of what I felt at the time and what I felt suited the chords and rhythm, it could have ended up as anything, as my 'Take Off Your Skirt' remake demonstrates. I was of course aware after making 'Take Off Your Shirt' that it had potential to reach a wider audience and that it was radio-friendly, and I pondered over this for some time (it's probably the oldest track on the album). I was on the verge of not releasing it out of fear of the reaction, but Steve Beckett said "You should be proud of the whole of you". That nugget of wisdom combined with the fact I simply thought it was a good track, and it always got an amazing response when I played it in my DJ sets, persuaded me to release it. I predicted from there on that I'd be asked about it in every interview and that I'd read negative reactions as well as positive. The truth is that it gets more love than hate. I've learned a lot about people and the internet in the last year. The people most likely to slate something an artist does (apart from journalists) are fans who tend to want you to stick to a certain sound and/or don't want to share bands they like with Joe Bloggs. Music has the right to children, not vice versa. DD: There's also a greater vocal presence by you this time round - why so? Bibio: I like using my voice more, I like writing lyrics more. As much as I'm a lover of instrumental music, I also love vocals. Words are also unique sounds and noises, and I see the voice as just another instrument but I also enjoy attaching my thoughts to songs via lyrical meaning. Lyrics are the main hurdle in my creative flow, I can write melodies any time, unhindered. Creative flow stumbles at such hurdles, and therefore some of the tracks on Mind Bokeh have more subconscious lyric writing methods: off the cuff, automatic, based on pictures or memories etc. Even though these methods might feel they generate randomness at first, the words are all from me; my experiences, my memories. 'Artists' Valley' is perhaps the best example of this, although 'Excuses' and 'More Excuses' were also very fluid and unhindered lyrically, as well as intentionally ambiguous. I like listening to foreign languages as music, listening to phonemes as shapes stripped of their syntax - which is why I'm a sucker for sampled and chopped up vocals - think 'High Fidelity' by Daft Punk, 'Nlogax' by Boards of Canada and the often nonsensical mismatched sentences in Madlib & Dilla's works. I admire Elizabeth Fraser for piecing together foreign words of various languages as a vehicle for her amazing voice, apparently she did it out of a lack of confidence in lyric writing, but what she did is also brave and imaginative - better to do that than write inane formulaic lyrics, which is often the case with so much pop music. DD: The amount of genres you've encompassed to date clearly demonstrates your versatility as a producer, so have you considered putting out material that may not otherwise fit under the Bibio umbrella? Or would you say its a big enough umbrella as is? Bibio: What's the point of me doing side projects now? I mean Bibio has already spanned folk, rock, pop, hip hop, ambient, electronic etc. I think my 5 albums have earned me a reputation for skipping between genres, and it's a reputation I'm comfortable with. I'd most likely do a side project if I teamed up with another artist, which is something I plan to do. The truth is, genres mean very little to me. Genres are the menu and music is the food, and I prefer to eat food and not the menu. The intention of classification is surely for convenience's sake, which is why journalists and musicologists may be particular about genres, but how many subdivisions do we need? The silliest youtube comment you often see is under a music video is "what kind of music is this?" DD: Similarly, are there currently any new graphic/design-based projects that you're working on at the moment? 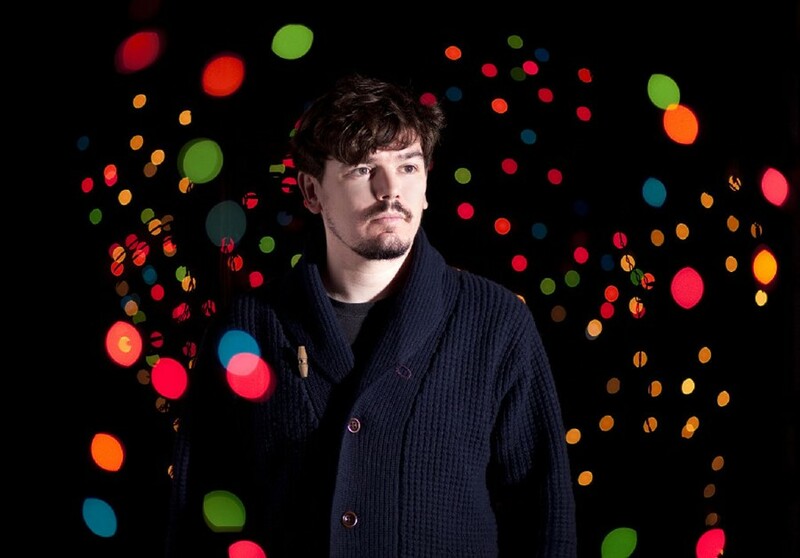 Bibio: I take lots of photos, and I plan to do more work with Michael Robinson, with whom I co-directed the 'Excuses' video. But apart from that, I'm mainly focused on music. DD: Do you have a favourite Shirt? Bibio: Most of my t-shirts are Warp tees haha. I particularly like my Hudson Mohawke t-shirt. DD: Out of curiosity, and considering recent events, what song would you say best reflects the UK's current collective psyche? Bibio: I think I'm kind of against the idea of having a song reflecting a collective psyche of the UK. I feel like this is already done too often on a different scale where London claims to be 'The UK' and its output as being 'The sound of the UK'. If there is one thing I'm remotely patriotic about, it's the musical innovation we have demonstrated as a nation, but you often have to thank media-shy eccentrics in all corners of the country for that. The music industry mustn't lay on its laurels too long, or ride the coat tails of great innovators from the past - new talented eccentrics are out there now! The music industry has a huge responsibility in getting our artists heard, the notion of giving the people what they want is a dangerous road to mediocrity, how can you know what people want unless they can first choose? I'm just grateful for labels like Warp, because they successfully expose what would otherwise be underground or unheard music to a wider audience, there aren't many labels that do that.